For many years, I’ve been aware of the value locked up in the design patterns that have emerged as business and consumer customers have co-designed their ideal approaches to everything from how they’d like to invest for retirement, to how they’d like software to install, to how they’d like to make a purchasing decision in our Customer Scenario mapping sessions. We published our first Customer Scenario pattern in 2004 (B2B Select & Buy: Part 1 and Part 2). Nobody seemed particularly interested. But I believe the time has come to put these out into the world. 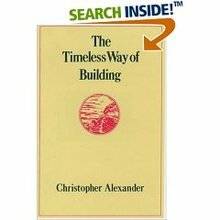 It may be that nobody will notice (Christopher Alexander’s work, which is very profound, is still under-acknowledged 30 years later, even among professional architects). Customer Lifecycle Customer Scenarios. These are closely connected to customers’ discovery, acquisition, and use of your products to fulfill a need they have. How do customers ideally want to interact with your brand and your ecosystem through their product lifecycle? Event-Triggered Customer Scenarios. These relate to life events or business events that customers need to deal with. For consumers, these might include buying a new home, retiring, welcoming a new baby into the family, sending a child off to college. For business people, these scenarios may include things like launching a new product, opening a new branch, or downsizing the business. Outcome-Based Customer Scenarios. Some scenarios are focused on a specific outcome, such as losing 20 pounds, getting a promotion, or increasing your revenues by 20 percent while retaining or improving your current profit margins. Why Are Design Patterns Valuable? Design Patterns are valued by software designers, usability experts, and architects—both technology architects and building and landscape architects. Patterns tell us how to design a construct so that it works effectively and efficiently to achieve its end. Patterns are esthetically pleasing as well. Simplicity. Form meets function. 1. Watching what people do and noticing what works and what pleases them. 2. Discovering what people want to do but have difficulty doing. 3. Thinking carefully about, and testing, designs that make it easy for people to accomplish their goals (both tangible and emotional goals) in a pleasing manner as efficiently as possible. Skip Walter turned me onto design patterns in the 1980s. At the time, Skip was the product manager for Digital Equipment’s very successful All-in-One office systems. He was also an early practitioner of customer-led innovation. The design of All-in-One arose from customer co-development to meet the needs of a small group of customers in the field.